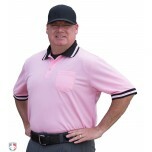 Baseball and softball umpires show their support for breast cancer awareness through pink umpire shirts and numbers, especially around Mother's Day in May. 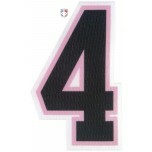 Each year, Ump-Attire.com donates proceeds from your purchase of pink items to the American Cancer Society. Great umpire mask! The padding in these masks is some of the most comfortable I have worn. 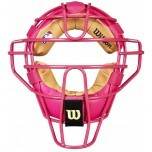 Its a great way to support moms and breast cancer awareness! Great material, breathes beautifully. 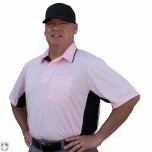 With the San Diego sun, I need umpire shirts that hold zero heat in, and this does it great. 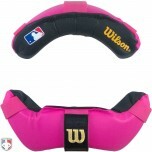 Bought for an all girl's baseball tournament. 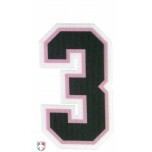 Lightweight, not atrociously pink. Good quality, washes well.